This was a challenging project which I found by answering a Craig’s List Ad. 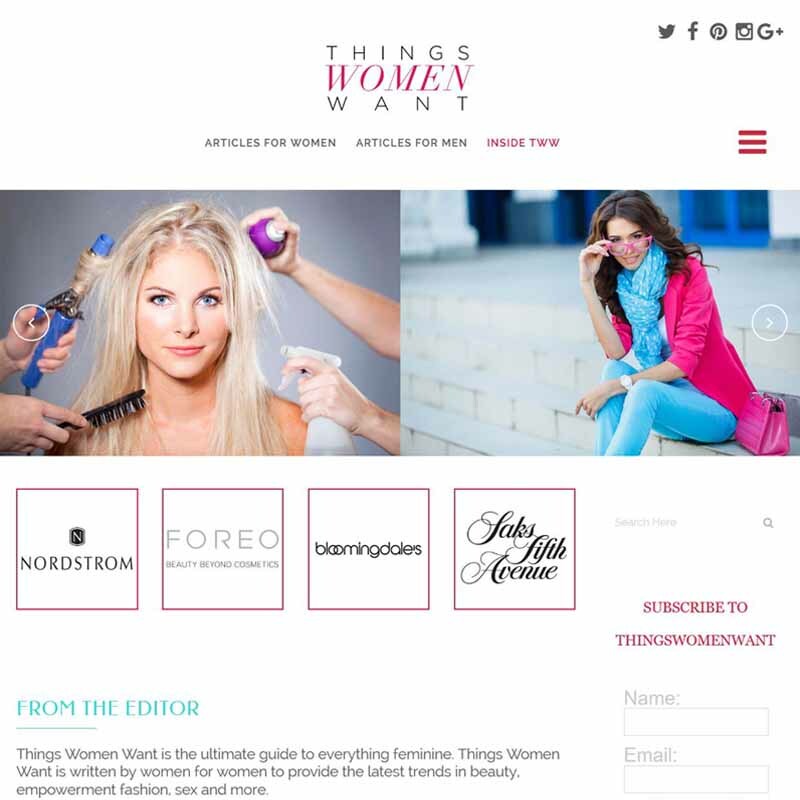 The owner, Steve Britton, had a very old site for his online magagazine, Things Women Want. He wanted something more contemporary with easy navigation and well written text. The site is ranking #3 in Google for the search term Things Women Want, which is fantastic. All in all this project is a huge success.